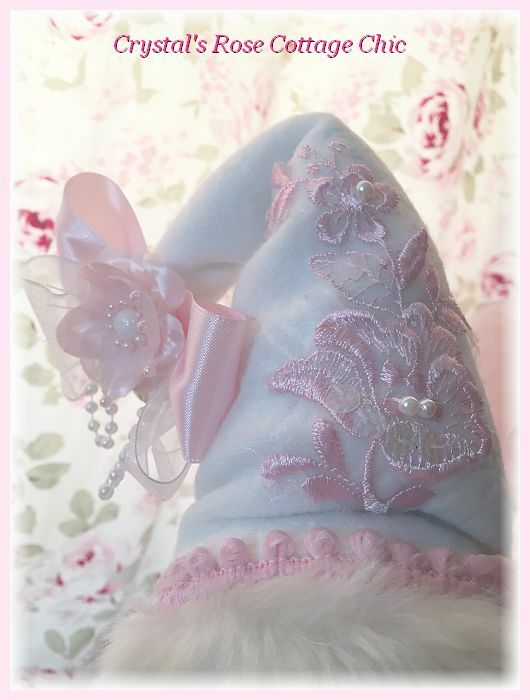 Redefine your Shabby Chic Christmas experience this year with an original, artistic, one of a kind creation with this beautiful pink and white Santa topper. 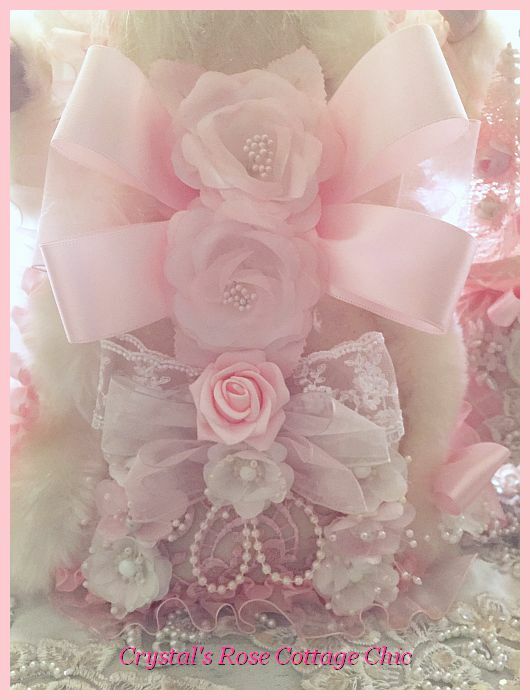 He has been lovingly embellished with pink and white pearls, ribbons, satin and organza ruffle trim, gorgeous lace appliques, and he even has a pink bottle brush tree with rose touches in his sack of goodies! You won't want to miss this one! Set him on top of your shabby/cottage tree or add him to your Christmas vignette. Measures 20" tall. 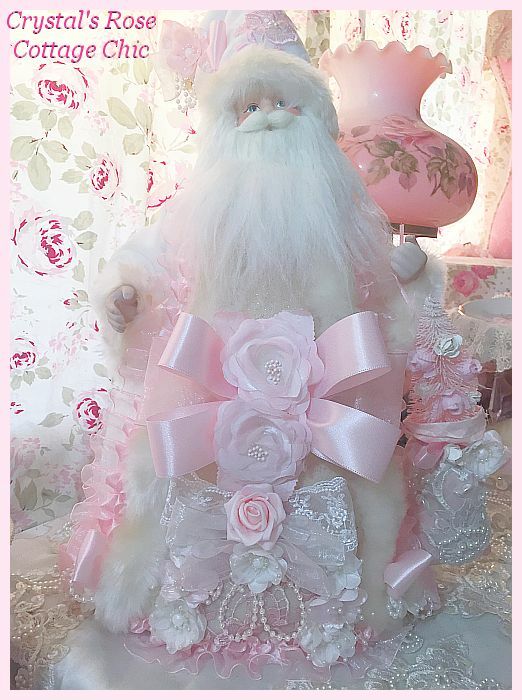 Thank you and Merry Pink Christmas •:♥*¨¨*♥:•.